The Royal Canadian Mint is commemorating the 150th anniversary of the Royal Astronomical Society of Canada (RASC) with a $20 silver coin that features a shard of a real meteorite. 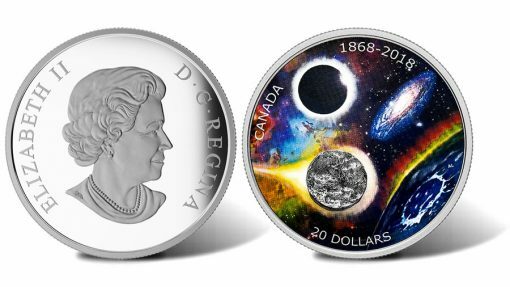 Founded in 1868, RASC is a national, non-profit, charitable organization devoted to the advancement of astronomy and related sciences. 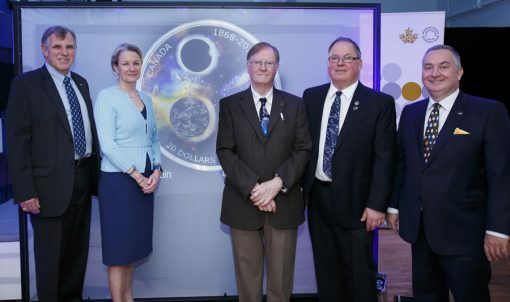 From left: Former Canadian astronaut Dr. Dave Williams, Royal Canadian Mint President & CEO Sandra Hanington, University of Toronto Professor Emeritus Dr. John Percy, Royal Astronomical Society of Canada (RASC) Executive Director Randy Attwood and RASC President Colin Haig unveil a silver collector coin celebrating the 150th anniversary of the RASC (Toronto, June 26, 2018). Limited to 5,500 pieces and priced at $149.95, the 1 oz. 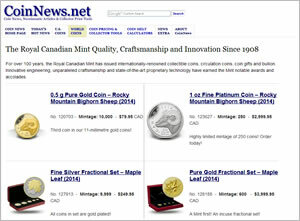 .9999 coin was officially introduced Tuesday, June 26, during a special ceremony in Toronto. It quickly sold out. "One hundred and fifty years of research, education and discovery by the Royal Astronomical Society of Canada is an engaging story to share with Canadians," said Sandra Hanington, President and CEO of the Royal Canadian Mint. Designed by Canadian artist Alexandra Lefort, the coin’s reverse or tails side design showcases a deep space vista enhanced by engraved textural details and full color. 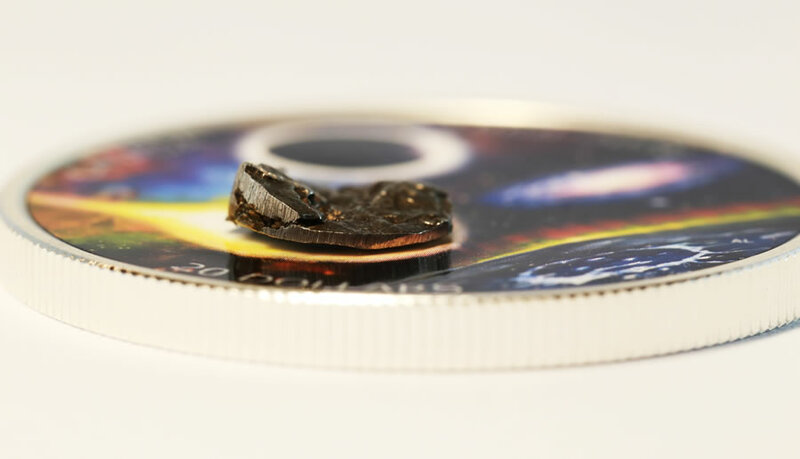 Prominent design elements include the Pillars of Creation in the Eagle Nebula, the Moon, the Andromeda Galaxy and a blazing meteorite, enhanced by a genuine iron meteorite fragment from the Campo del Cielo meteorite field. 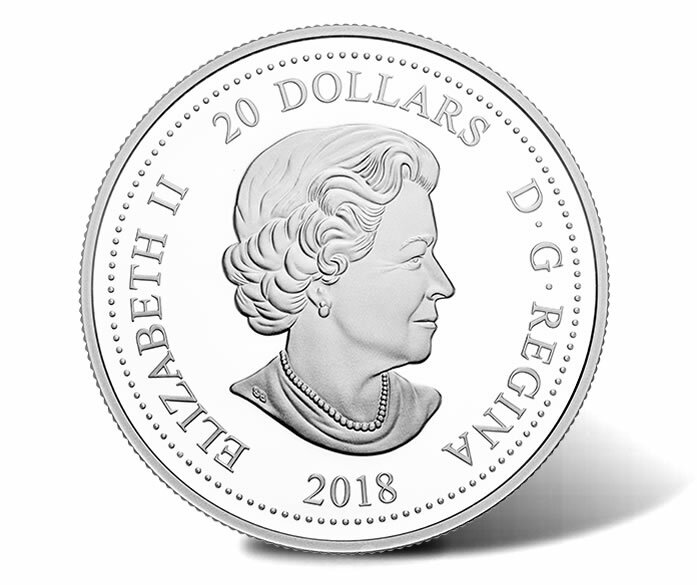 Inscriptions include CANADA, 1868-2018, and 20 DOLLARS. Obverses feature Susannah Blunt’s effigy of Her Majesty Queen Elizabeth with surrounding inscriptions of ELIZABETH II and D G REGINA. 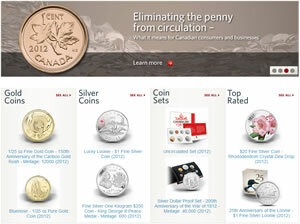 For more information about the coin, visit the RCM’s product page for it right here.